Jon Sinclair, a native Texan, is the owner and Director of Instruction at Sinclair Golf in Euless, Texas. Sinclair Golf is one of the most technologically advanced teaching centers in the country containing AMM 3D with TPI Reports, GEARS (motion capture 3D), 4D Motion (motion capture 3D), JC Video (high speed 2D video), TrackMan 4 Launch Monitor, SAM PuttLab and SAM BalanceLab. Jon is on the Advisory Staff for Edel Golf, 4D Motion and TPT Golf. His certifications include Titleist Performance Institute (TPI) Level 2 Biomechanics and Fitness, TrackMan Level 2, SAM Puttlab Level 2 and SAM Balance Lab. In 2015 he became a Master as a Golf Motion Capture Specialist as certified by Phil Cheetham. He completed Dr. Kwon’s Golf Biomechanics Instructor Training Program – Level 1. An accomplished player, Jon played professionally for 7 years (1993 – 2000). As a player he was introduced to GolfPsych – Dr. Deborah Graham and Jon Stabler. Dr. Graham had a tremendous influence on Jon as a player and later as an instructor. He became a Master GolfPsych Instructor in 2004 (one of only 3 in the world – Henry Brunton and Lou Solarte are the other two). Jon started his teaching career in 2000 and has vast experience in teaching all levels of golfers, from beginner to pro. Jon’s teaching philosophy is based on solid fundamentals with an emphasis on developing an efficient swing based on the student’s physical limitations. He is an expert in how the mind, body and swing are connected; Jon matches a student’s swing to their body mechanics and stresses how the brain dictates every motion. While maintaining a full schedule (more than 2,000 hours of instruction per year), Jon qualified and played in the 48th PGA Professional Championship in 2015 as one of the oldest participants in the field. 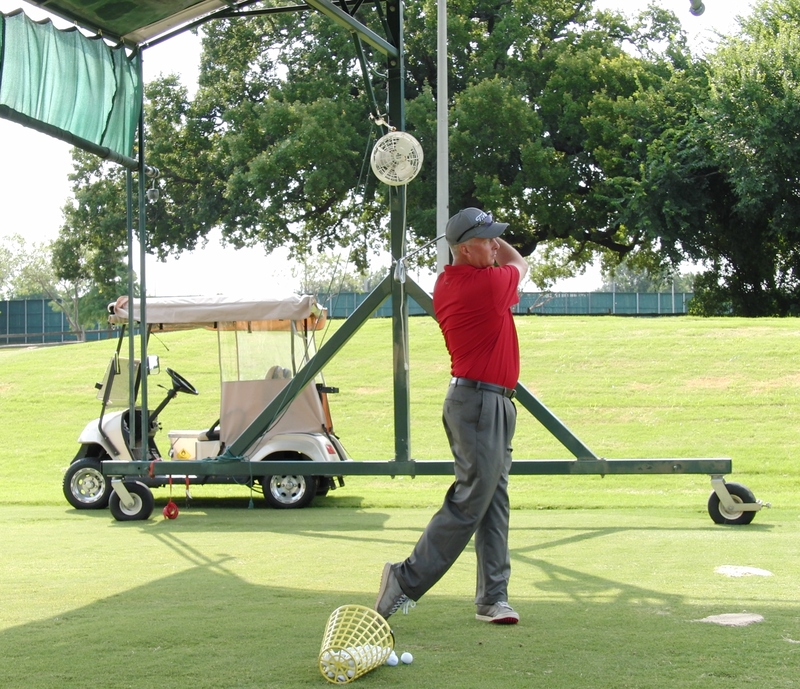 He continues to play in North Texas PGA Section events to maintain his playing abilities. 2017 Teacher of the Year in the North Texas PGA Section, he is honored to be included with the group of outstanding instructors in the DFW area. Jon has shared his knowledge and expertise with presentations at PGA Sections, the Proponent Group, the 2016 GOLF Magazine Top 100 Teacher Summit, and internationally. One of the most sought after experts in capturing and interpreting 3D data with the AMM system, Jon has worked with more than 60 coaches and players on the PGA, Web.com, Champions and LPGA tours. He has also caddied for his players on the PGA, Web.com and Champions tours. As a player, caddie, Master GolfPsych Instructor and PGA class A Professional, Jon brings a unique all around perspective to his coaching that makes him one of the elite. Jon can be reached at jon@sinclairgolf.com.